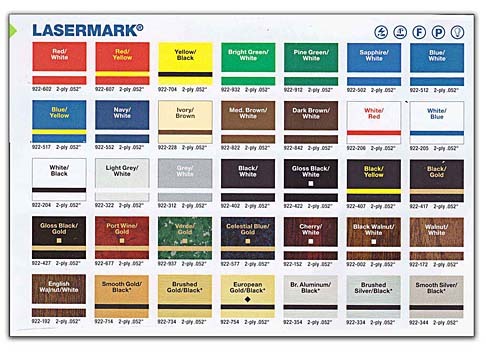 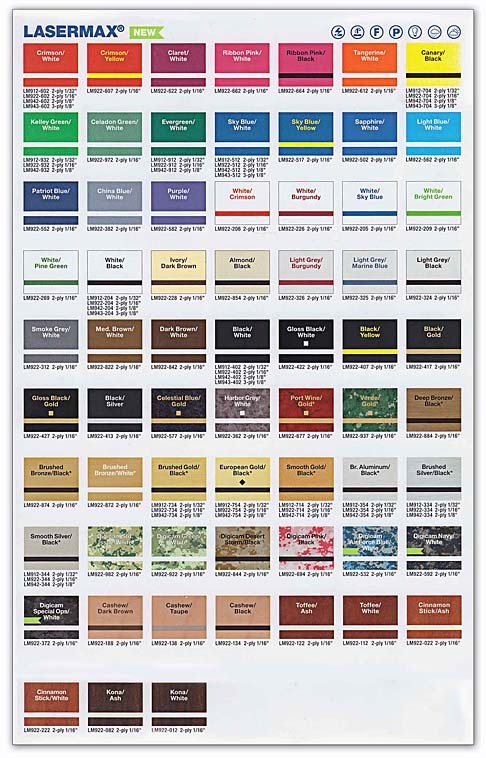 Color charts are colors provided by Rowmark® for their plastic. 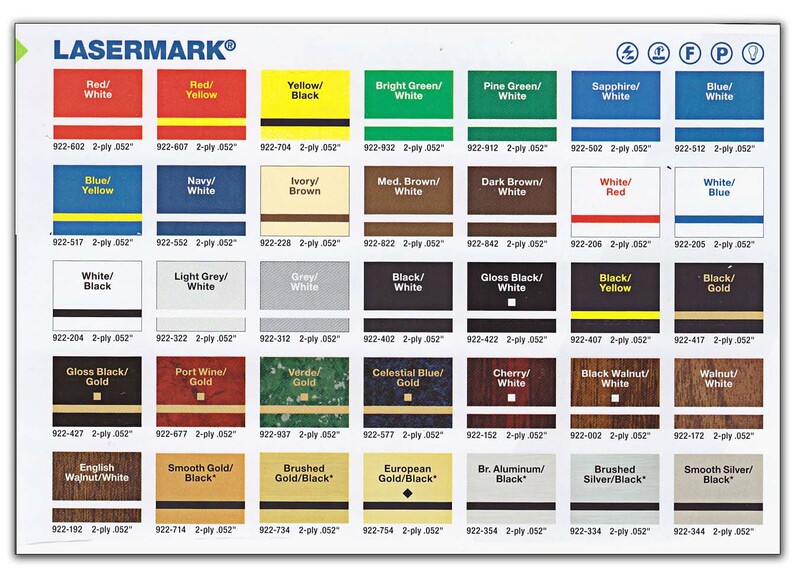 Rowmark® provides us with an American made product. 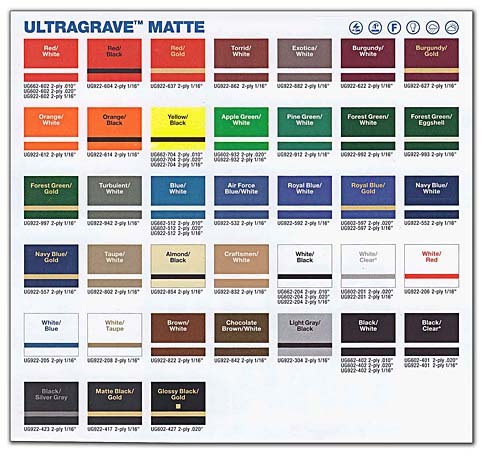 crimson / white ... crimson is background and white is the letters and / or logo. Click on a main color images to bring up an enlarged view.